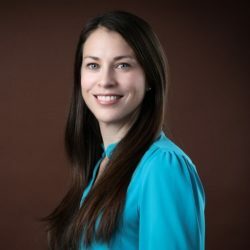 ​Kerry Ryan has 5 years of experience in child development and child welfare research, with a focus on the evaluation of implementation and dissemination efforts for child maltreatment prevention programs. Her technical skills include evaluation technical assistance, training of observational coders, literature reviews, and data collection methods and management. Previously, Ryan held research positions at Georgia State University and New York University. She received an M.A. in psychology from New York University.